Fortress Of Freedom Board :: View topic - Donald "Boots" Brasseur Finalist At Seniors Stars! Donald "Boots" Brasseur Finalist At Seniors Stars! Posted: Fri Dec 02, 2011 6:13 am Post subject: Donald "Boots" Brasseur Finalist At Seniors Stars! 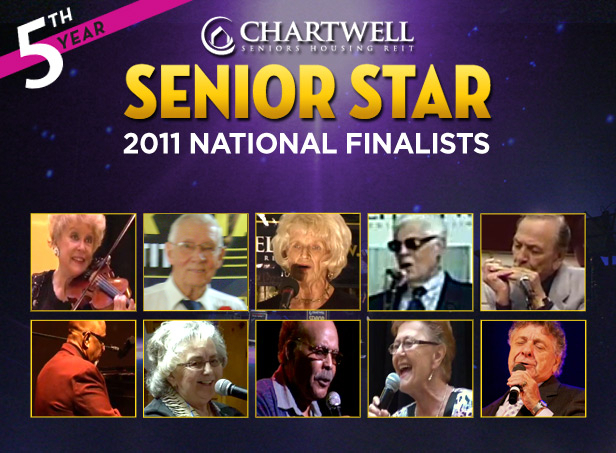 By Samantha Blackwell, FOF RECORDS Inc./FOF Inc.
Senior Stars Banner 2011 (Courtesy of Chartwell Senior Homes). Great News! 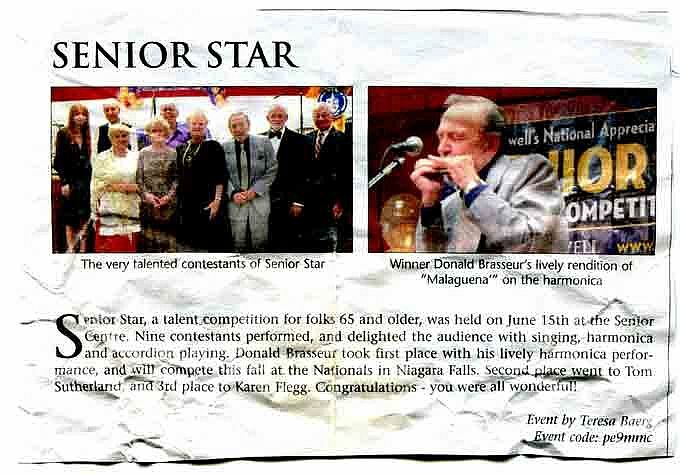 Our own Donald "Boots" Brasseur (FOF RECORDS Inc.) was a finalist at the Chartwell Seniors Star competition! The competition partnered Chart well Homes with CSCH TV (Hamilton) had their finals on November 21, 2010 and Don was a finalist. Congratulations Don! The competition was held at the new Scotiabank Convention Certre, in Niagra Falls here in Ontario. The finalist came from about 50 regional competitions held in June of 2011 and finalists were then selected from those winners and runner-ups. Finalists were given the first class treatment lodged in the best hotels and given limousines to the final competition! Don at the Senors Star Competition Regional Finals! 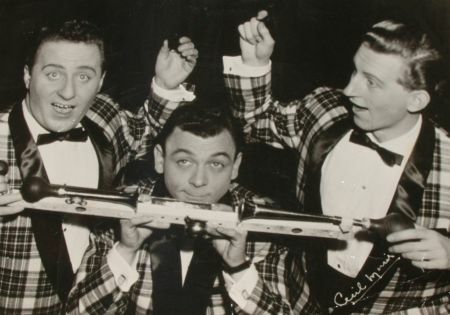 Host of the finals was Dinah Christie and judging was lead by Canadian Gordie Tap and other famous Canadian icons. Once again Congratulations Donald "Boots" Brasseur! 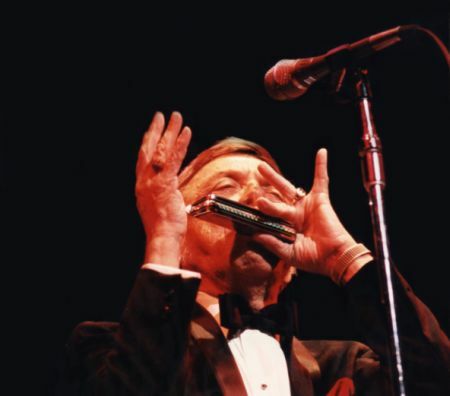 Donald "Boots" Brasseur performing at Roy Thompson Hall in Toronto. 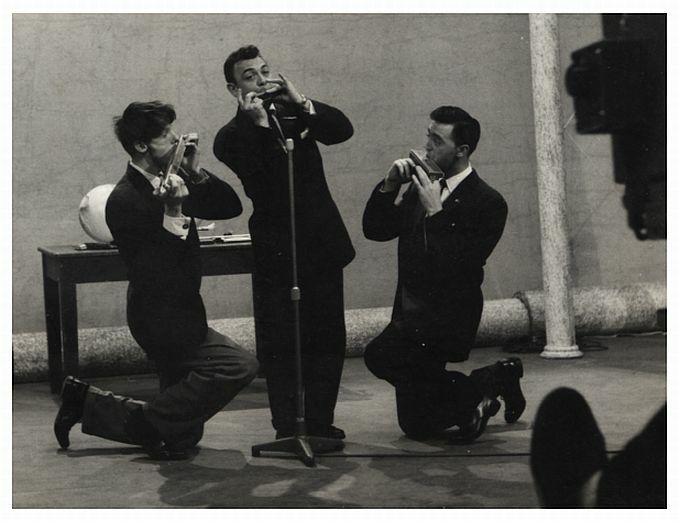 As a Musician in the 1950s! "Boots" on TV in 1954! While we are at it, don't forget that Don has an album for sale at iTunes called "Memories of Christmas" which is perfect for setting the mood for that Christmas dinner coming up in little over a month now.